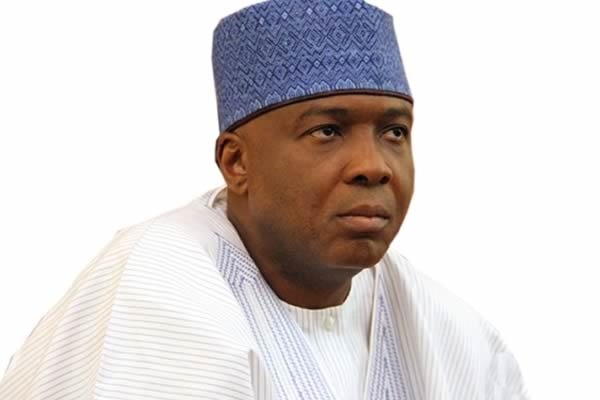 Senate President, Bukola Saraki, has said he will not dump the All Progressives Congress. Senate President Bukola Saraki has denied report that he wants to dump the All Progressives Congress (APC) for the Peoples Democratic Party (PDP). A former Vice President, Atiku Abubakar, had on Tuesday called on Saraki and others who left the PDP with him to return. Among those who left the party with Atiku were Transport Minister, Rotimi Amaechi; Senators Rabiu Kwankwanso, Danjuma Goje, Aliyu Wamakko, among others, now holding prominent positions in the APC-led government. But Saraki has assured his supporters that as a founding father of the APC, he would remain in the party. He said: "There is nothing like that and there is nothing to suggest that. Every member must come from somewhere. Are you going to ask the President Muhammadu Buhari whether he would go back to the Congress for Progressive Change? “You’re not going to ask Bola Tinubu whether he will return to the Action Congress of Nigeria. “Everybody has where they are coming from. As far as my principal is concerned, he is a founding father of this party. There is nothing like that".